The Boeing 787 Dreamliner-VIP is more than an extravagantly luxurious VIP airliner; it is a VIP airliner of epic proportions. At a buying price of $153 million, the Dreamliner-VIP displays some of the absolute highest levels of luxury that can possibly be purchased. Perhaps the most well-known of the Dreamliner-VIP's selling points is the enormous interior cabin space. Boasting an interior square footage of a monumental 2,762 square feet, the cabin dimensions of the Dreamliner-VIP are nearly unfathomable. To put it into perspective, the Boeing 787 Dreamliner-VIP has more floorspace than the average American household. 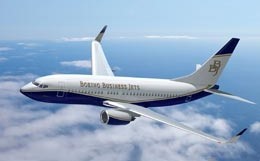 Joseph Lau, a Hong Kong real estate tycoon, made history by placing the first official order from Boeing as a private owner, which was announced at the European Business Aviation Conference and Exhibition (EBACE) in Geneva. Also announced were plans to develop an even larger VIP aircraft based on the Boeing 747-8. As a result, there has never been a more exciting time for those with the highest possible standards of luxury in VIP travel. The 787 Dreamliner-VIP can travel to anywhere on the planet non-stop, which makes its extraordinarily comfortable and luxurious interior all the more critical for long-distance flights. Its maximum range is 9,590 nautical miles. It can seamlessly utilize two different engine types including the General Electric GEnx engine and the Rolls-Royce Trent 1000. The 787 is compatible with either option, which facilitates straightforward and inexpensive engine swapping if necessary. Although the Dreamliner-VIP typically seats 40 passengers, it can be outfitted to seat up to 250, much like a commercial airliner. Its cabin length is 138' 9" with a cabin width of 17'11" and a cabin height of 7'6". It is essentially a full-size airliner equipped to handle private VIP transport, government, or corporate missions. Even though the Boeing 787 Dreamliner-VIP is not the most expensive or largest private aircraft in the world, it is certainly one of the most extravagant and luxurious private aircraft available in the industry today. Although other private aircraft typically have an array of features that allow for customization and personalization, very few aircraft can be tailored to personal tastes quite to the extent of the Dreamliner-VIP. 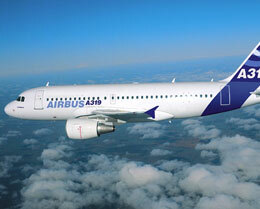 This aircraft truly reinvents the concepts of creating ideal environments and atmospheres. 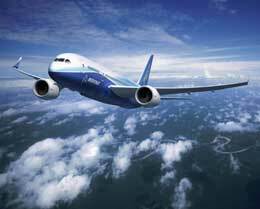 A 787 can typically transport hundreds of passengers in a commercial airliner setting. 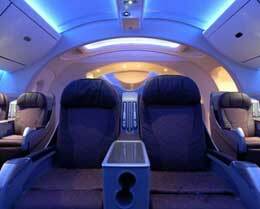 However, the 787 Dreamliner-VIP typically holds 40 or less passengers in the same amount of space. This creates an enormous amount of space and comfort for the passengers in a VIP configuration with much of the remaining space utilized for entertainment or lounge purposes. Amenity selection is somewhat of a redundancy in this case as the sky is quite literally the limit for those who have access to this extravagant world-class aircraft. The interior configurations of the VIP-configured 787 are often unrecognizable as aircraft cabin space as they are more closely reminiscent of executive hotel suites or VIP lounges. To put it simply, the Dreamliner-VIP is the ultimate fantasy aircraft. 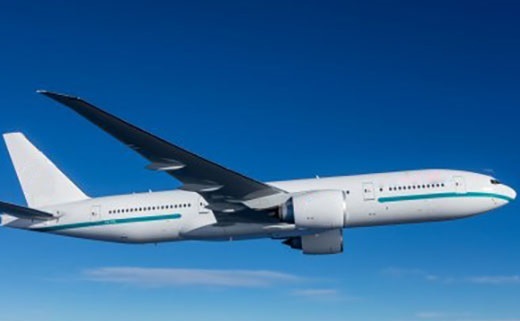 For more information about chartering, leasing or buying a Boeing 787 9 Dreamliner VIP please contact us by calling +44-20-3874-8091 or send us an email here.